I am tickled pink by this interview on Virtuoso.com with a recent client. 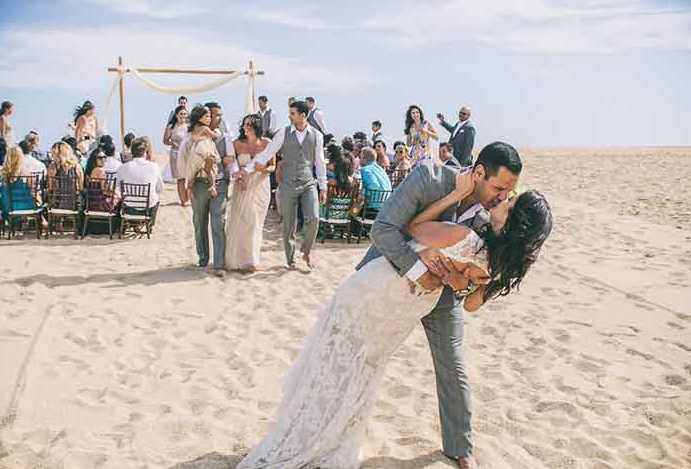 Our name is The Honeymoonist, but honeymoons aren’t all we do–we also work on destination weddings. I love doing this; I have so much knowledge from my experience as a wedding-magazine editor, and it feels so good to put that to use with clients! People ask me how it works, and I never know quite to say. Sometimes we work directly with couples, helping them with everything from choosing the right hotel to going over room-block and wedding contracts, and sourcing the best rates and extras through a variety of channels (some not accessible to the general public). Other times, we work with top wedding planners, handling all of the travel arrangements and extras for their weddings (including fabulous honeymoons, of course!). Either way, it’s a stress-saver for the couple and planner, as guests come to us to book their reservations (and answer all of their travel questions!) instead of being passed off to a random hotel desk clerk somewhere. That makes us so happy, we just had to share. And Elise — we loved working with you too! Congrats again to you both! !